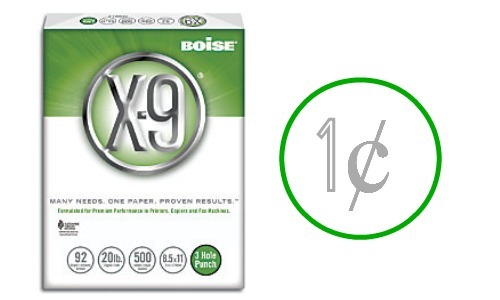 Office Depot has one ream of Boise X-9 Paper for $4.99. There is also a 99¢ instant coupon plus a $3 Mail-In Rebate on your purchase. You can pair all of this to get 1¢ ream of paper! Go ahead and stock up to have plenty of paper for printing coupons! Limit of (1) per household. Offer valid through 4/4.